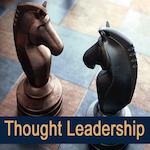 Why is brand loyalty an especially timely issue? Due to the sweeping tax changes in the US, Canadian companies are deemed to be at a marked disadvantage, comparatively speaking. Reforms such as reductions of corporate tax rates, caps on small business tax, and deductions for capital investments have the Canadian business community increasingly concerned that our more stringent regulatory environment and higher taxes will make us less competitive. The Canadian Chamber of Commerce has developed its most comprehensive policy position requesting that the federal government strike a royal commission on tax reform to help with Canadian economic competitiveness issues. Including that the Canadian tax system hampers investment and the ability of business owners to attract talent. Any tax reform will take time and consultation. In the meantime, Canadian business owners have to find ways to stay as competitive as possible. Creating brand loyalty is one tool in your arsenal to ensure your business will grow in the future and be able to weather any storm! 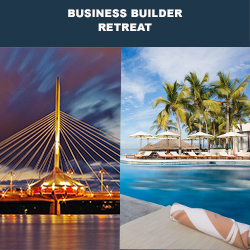 Additional educational resources: Take a free trial of the certificate course Business Leadership, Culture and Continuity, Be sure to join other business leaders in discussing the economic and tax factors that affect Canadian business operations at the Business Builder Retreats. Taking place in both Winnipeg and Puerto Vallarta, Mexico this summer and fall!